A while back I came across this excellent product and I just had to order one. The idea behind this one is extremely simple, you get 3 sets of differently sized, ribbed, plastic templates, that when used in conjunction with modelling putties will enable you to make (scifi) tubing, rope and various other materials. I've been wanting to make something like this for years for myself, but have been hardpressed to find both the materials and machine-like finish needed to truly have a useful tool. You really need either a ready made piece you salvage from some kind of plastic product (difficult and usually oddly shaped), or somebody has to make something ready made. 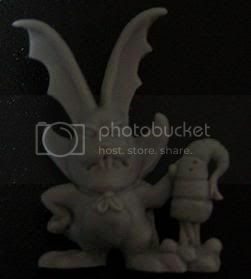 And apparantly the Germany-based Masquerade Miniaturen did just this. Depending on the set you order you will get slightly different contents. 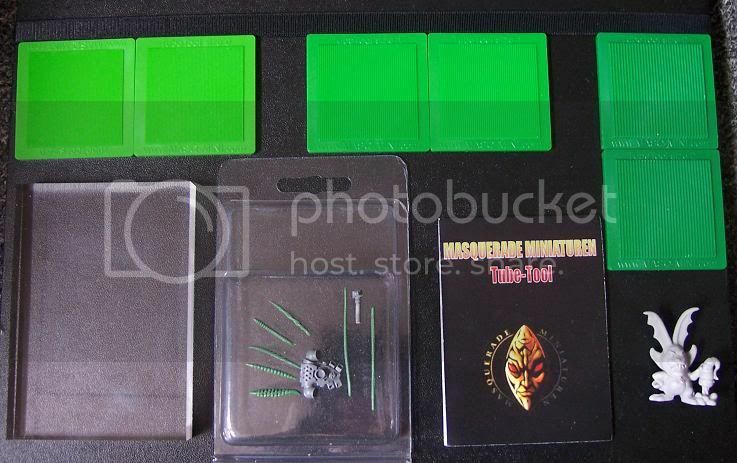 The basic 20 Euro set will get you three sets of two ribbed, plastic templates, packaged in a plastic blisterpack. While for 27 Euro you also receive an Acrylplate, ideal for making perfect putty tubes and a stylish piece of plastic to boot! The Acrylplate is also available seperately for 8 Euro. 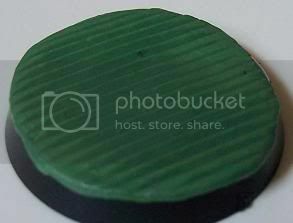 The actual templates are 50 by 50mm, with the texture segment being 40 by 40mm. In addition each set of two templates is of a different shade of green (lighter green for finer details), making use even faster and easier. So now we know you can use the TubeTool to make all kind of tubing and ropes, but I have a few more pointers and examples to share. 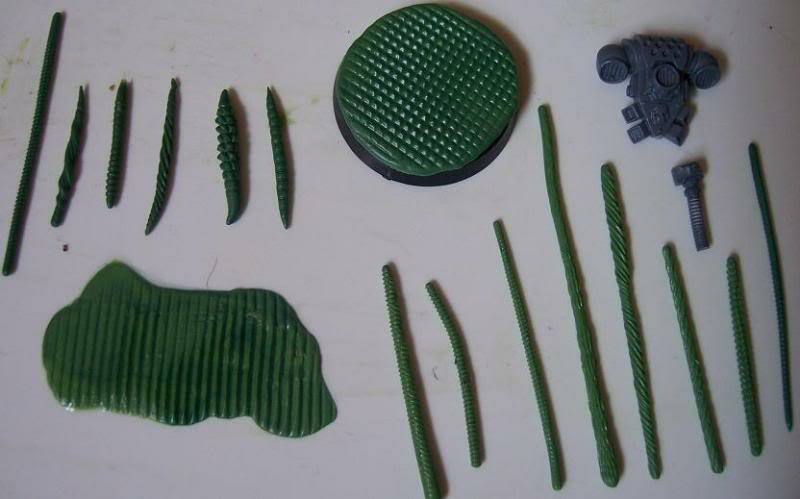 - Make use of water on your templates and molds, it will make your tubes smoother and will prevent any annoying sticking issues. - When using Green Stuff (combo of yellow and blue putty), it is a good idea to leave your mixed putty to cure for roughly 10 minutes before making tubes. The extra hardness will help to keep your tubes in a fixed form, allowing you all the freedom to create the perfect shape once you're done adding the texture to the tube. 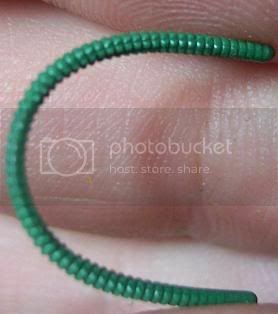 - When making rope tubes I would suggest using Brown Stuff instead of Green Stuff, this as it is better at capturing sharp edges. So after a short dry and a twist you will end up with perfect rope! 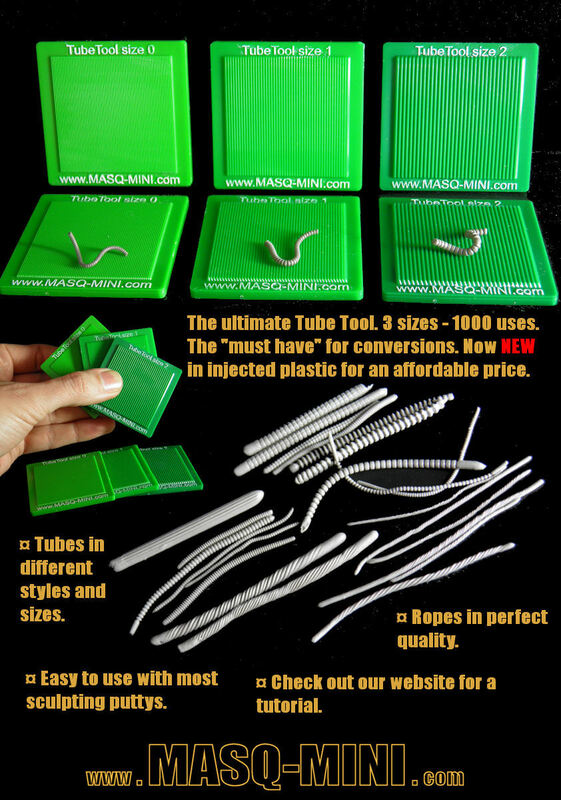 - Maintenance, maintenance, maintenance, cleaning your TubeTools after use, paying particular attention to any leftover Green Stuff, will have you pumping out tubes for years to come. Time for a few quick examples of what you can make with the TubeTool. These were thrown together in just a couple of minutes and with zero preparation, so if you really take the time to let your putty cure a tad and handle the tubes with some extra care you you will get even better end results. Click on each picture for a closer look at the end result. To get this rope effect you will need to let the stripped tube you end up with dry for a little bit (experiment with your specific putty to get the perfect timing), afterwhich a quick twist will turn that boring tube into a nifty looking piece of rope. The TubeTool is an affordable, versatile tool that will make sculpting and converting a lot easier for a ton of wargamers. If you even think it could be of use for you, I for one, recommend you just order it. This is a must have for wargamers intending to tackle large machine-themed projects (Imperiald Guard, Orks, scifi terrain etc.) and I am certain you will be enjoying this tool for years to come! As for which set to buy, the normal 20 Euro set is just fine. If you have anything plastic, flat and semi-sturdy you will be just fine. 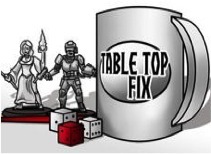 If on the other hand you have a few bucks to spare and want to add a stylish (and also quite useful) piece of plastic to your hobby corner, I'd say go for it. 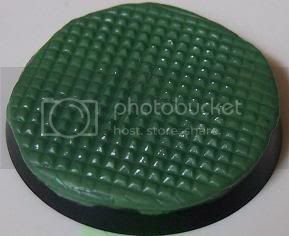 Though quite realistically most of us should be able to get our hands on some acrylate for a whole lot cheaper price. yay heph, this is exactly what I've been looking for this very day!!! My pleasure mate, it's a great, little tool! That is bloody awesome and I think I will be buying this kit. It also looks like you are in a strong position for a back to back "Sunday Best". Cheers and thanks for sharing. For me it has definitely been a great investment with great results and as such I felt I had to share this little gem with the rest of the blogsphere. Congrats Hephesto on making back to back Sunday Best over at The Chaos Manifesto. I enjoyed this post so much that despite not being able to fit directly into my theme I had not choice but to include it. Woot, always nice to share useful stuff with other hobbyists! Thanks HOTpanda!